Welcome back to my bloggg. 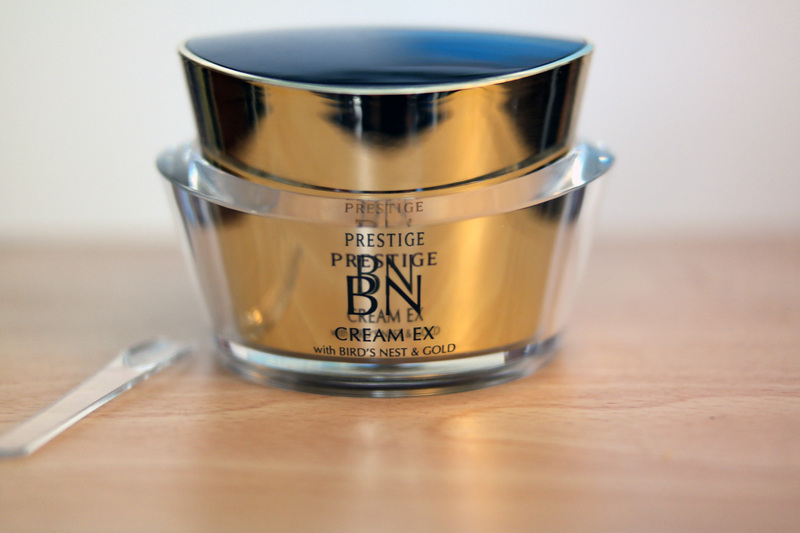 Today I’ll be reviewing It’s SKIN PRESTIGE BN CREAM EX! 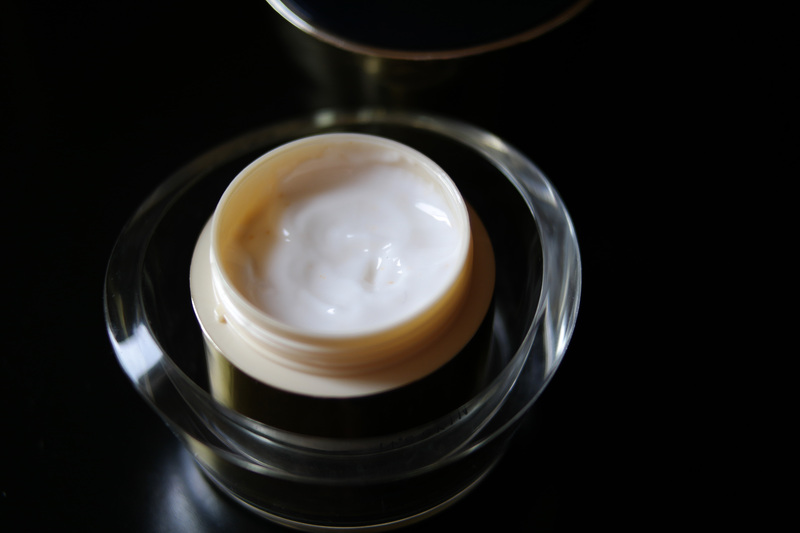 It’s a face cream that contains Swift nest and pure gold extracts (super fancy ingredients yo). For those who don’t know, Swift Nest is a ingredient (a very expensive one, a nest can go for $2500USD, baller lifestyle) that is used to make a very very very expensive soup. The soup itself is suppose to help with a lot of properties to help with health in general. I didn’t really know what the gold did besides make a cream more fancier previously, so I did some googling and found that it’s suppose to help rejuvenate the skin and that gold face masks are really popular in Japan. That healthy glow. So already this just sounds like a expensive product, and if the packaging says anything it definitely feels expensive. The container itself is really cool. Check out my pics, I can’t really describe it but the lid goes within the container and creates a really cool effect when opening it. For the product, I found it smelled really similar to Pond’s face cream, a light perfumed scent. It absorbs really fast into the skin. I love the fact that it’s light and absorbent. Nothing’s better than a face cream that doesn’t sit in the face, it goes right into the skin, so you know the skin’s absorbing something. I really like it as a face cream, my major winter problem has been dry skin, and it has taken care of that. Ohhh hydrated skin = happy skin. Look at my naked skin, wow much radiance wow, but I think that’s mostly in large part due to a different skincare product you’ll see in my blog soon! I’ve been liking it however it hasn’t been “wow”ing me especially at the price point so I’m giving it a 7/10. You can buy it here for $55. Check out the other BNT Girls: Joanne, Kine, Bella, Alene.